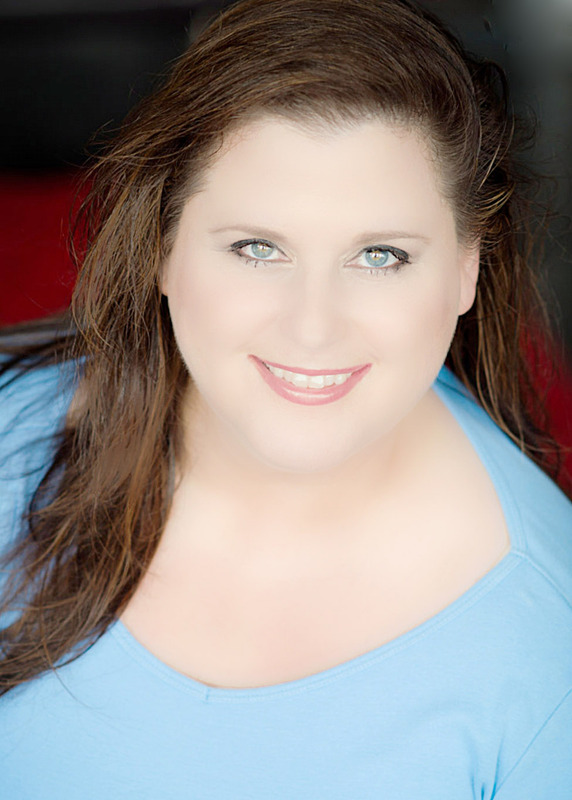 Nicole is a seasoned performer appearing in musicals, operas, dance halls, churches, and special events in Texas. She holds a Bachelor of Arts in Vocal Music with a minor in Business Administration from the University of Denver Lamont School of Music. She also holds a Master’s Degree in eCommerce Management from Our Lady of the Lake University in San Antonio, Texas. Though her formal training was in opera, her self-produced country album “Lone Star Lonely”, had two releases as Top Album Cuts in the Gavin Music Country Chart. Recognizing her success, Nicole received the “Most Promising Female Vocalist of the Year” award from the Entertainer Indie Association. Nicole was recently selected to sing with Opera San Antonio in the 2016 season and also sings with the San Antonio Symphony Mastersingers, The USAA Choir, The USAA Singers, Ethics Follies and The Greater SA Chamber Choir. 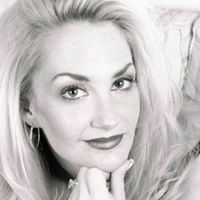 She is a private voice instructor and vocal coach teaching all styles of music. Her most recent adventure in education is “Magik Glee Choir” at The Magik Theater. Notable performing credits include: Beauty & the Beast (The Wardrobe) – The Playhouse, Memphis (Clara) – The Woodlawn Theater, Children of Eden (Mama Noah) – PASA, Mary Poppins (Mrs. Corry) – The Woodlawn Theater, Gypsy (Electra) – The Playhouse, The Count of Monte Cristo (Mistress de Carnival) – PASA, White Christmas (Ensemble, Seamstress) – Cameo Theater, The Best Little Whorehouse in Texas (Eloise) – Cameo Theater, La Boheme (Chorus) – Opera Colorado, and Hansel and Gretel (Sandman) – Lamont Opera. Nicole is also a voice over artist and has produced several commercials and on-hold messages. For more information see NicoleErwin.com and VoiceOversByNicole.com. 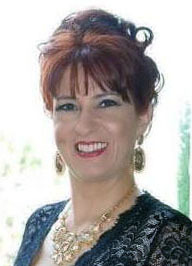 Corina Zars is one of San Antonio’s leading theatrical lights. She has been performing on San Antonio stages from a very young age. She has been an impersonator, a director, a choreographer and a show creator. From choirs to dance troupes, musical theatre to theme parks, she loves it all and brings a new voice to each and every character or role with great enthusiasm. A voice major at Incarnate Word and University of Houston, she continues to work diligently on her versatility and ability to create different character voices and personalities for each role she is is offered. In 2015 she signed up to produce, direct, choreograph, and play Zelda Fitzgerald in “The Road to Madness” at Performing Arts of San Antonio (PASA). Notable performing credits include: “Mrs. Potts” in Beauty and the Beast”, “Princess Puffer” in The Mystery of Edwin Drood and “Mazeppa/Miss Cratchitt in Gypsy-both at The Playhouse; “Miss Mona” in The Best Little Whorehouse in Texas, “”Magenta” in Rocky Horror, “Lucy” in Jekyll & Hyde, and “Bombalurina” in Cats-all at the Cameo Theatre; “Sandy” in Grease, “Bebe” in A Chorus Line, “Mary Jane” in Big River, and “Peron’s Mistress” in Evita-all at the Josephine Theatre. Directing/Choreography credits include: Godspell, Breaking Up Is Hard To Do, Big River, and Sin City Cabaret-all at the Cameo Theatre. She was also lead female singer, costumer, and choreographer for variety dance band, “The Oh So Good Band” for 10 years. Mr. Hardy is the Chair of the Department of Drama at St. Philip’s College in San Antonio, TX. He hols an M.F.A. from Cornell University and a B.F.A. from Northwestern University. Joseph is a seasoned actor whose credits include: OFF-BROADWAY: Taming of the Shrew, Cinderella, The Tinderbox (Frog & Peach Theatre). REGIONAL: A Christmas Carol, Evita, Alice in Wonderland (ZACH Theatre); ROOMS: a rock romance (Hippodrome Theatre). TOURS: Romeo & Juliet, Oedipus Rex (Papagaou Theatre, Greece). SAN ANTONIO: Into the Woods (ATAC Award), Taming of the Shrew, RACE, You’ve Ruined a Perfectly Good Mystery. 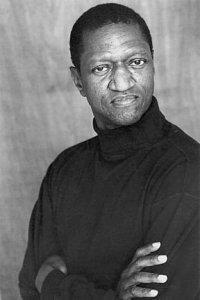 Joseph holds a MFA in Acting from the University of Florida. EMC. SAFD. Rebecca Trinidad has performed with the likes of Dave Brubeck, Della Reese and Johnny Gimble. Ms. Trinidad is the creator and driving force behind Broadway Nights at The Woodlawn Theater. Notable credits include: “Jeannette” in The Full Monty, “Daniella” in In The Heights, “Emma Goldman” in Ragtime, “Mother” in A Christmas Story, and “Jack’s Mother” in Into the Woods. 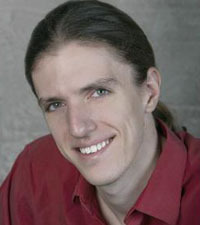 Derek Berlin is a graduate of Trinity University’s Theater Arts Program. Mr. Berlin received additional training at the actor’s Segue Studio in Los Angeles Calif. As a Tenured actor, his acting credits include two film pilots for HBO, commercials and theatrical appearances portraying such memorable characters as Ralph in Frozen, Mr. Webb in Our Town, Charles in Glaad To Know You and his award winning performance as Nosferatu in the title role, for which he was merited with the ATAC GLOBE for Lead Actor in a Musical. Jade is as an award winning singer, dancer, actor, and writer. 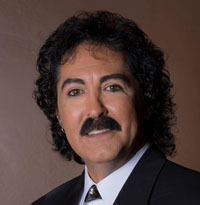 The Estrella award-winning singer was born and raised in the Tejano music capital of the world, San Antonio, Texas. He studied dance (alongside Jennifer Lopez) with Slam, the lead dancer from Madonna’s Blonde Ambition Tour among other notable teachers of the era. Estrada won a scholarship to the American Musical and Dramatic Academy in New York and later worked as choreographer. 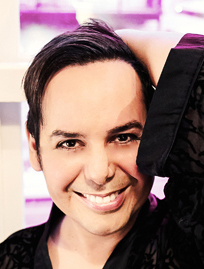 After working as a lead dancer for Charo, he signed to Total Envision Records in 1998 releasing the hit single, Reggae Twist, and toured extensively performing with top names in the Latin Music world. In September 2000, he opened the doors to his own label and released his long-awaited debut album Angel (Vicarious). He’s been seen in feature films, on Comedy Central’s The Graham Norton Effect, In the Life on PBS, Friday Night Lights and 30 Rock on NBC and has headlined concerts, theatres and comedy clubs around the world. Rebecca has performed in seven languages and in 33 countries to date and has shared the stage with Madonna, Margaret Cho, RuPaul, Jody Watley, and Jimmy Somerville and countless other fabulous stars. Estrada has been an intergral part of the recent international burleque revival and has toured the globe extensively to impressive reviews including a headlining appearances in Austria, Warsaw, Munich,and Edinburgh. Through his work in his artistic and political endeavors, Jade Esteban Estrada is fast becoming one of the world’s most ground-breaking personalities. As Qualifications Director at Victoria College of Music and Drama in London. Mr. Thompson oversees the academ-ic affairs of all areas and stays actively involved with the Brass, Pipe Organ and Musical Theatre departments. He also leads on external partnerships and assessment quality assurance. He has been connected to Texas Light Opera for several years as a member of the extended musical team providing musical arrangements and consultation. A lover of musical theatre since his youth, Mr. Thompson has played in the pit, conducted numerous staged events and has always been interested in orchestration and backstage activities of the theatre. His orchestrations have been performed in the UK, United States and across the globe. He has particularly been associated with the work of Ber-nard J. Taylor but has provided both live and digital orchestrations for musical productions by several composers either in full or in part. He runs the Voce! School of Music with his wife Catherine, Musical Theatre Advisor and Examiner to Victoria College (where they met), and works to develop the next generation of musical theatre enthu-siasts in their Doncaster home. 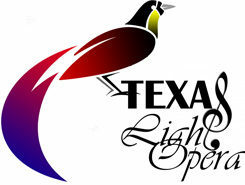 Texas Light Opera is a registered 501(c)(3) not-for-profit organization.